Facebook Inc (NASDAQ:FB) is a great American company which is in headline crisis mode. The data shenanigans that came to light after the U.S. 2016 elections are lingering and this morning they came with a new spin. For a while now, FB stock sporadically comes under pressure over data impropriety. Case in point this morning we learned of yet another situation where Facebook account data were misused. This is not a hack but rather how personal data were used. Wall Street usually shrugs off instances of negative headlines in great companies like Facebook. But when the headlines becomes chronic there is a worry that the effects on the stock price become long-term. Chipotle Mexican Grill, Inc. (NYSE:CMG) is one example of such situations. FB is not quite in CMG’s shoes yet, but this headline stream is already too sticky. On the other hand, the potential that lies in its billions of users is too great to give up on the stock so soon. And therein lies my opportunity today. I still believe that in the long-term story. The stock will prosper and deliver on this growth potential. But for the short-term it has a few bumps to overcome. So I will use the options market to deploy my bullish strategy so that it could withstand the short-term pricing pressures from political headlines. Yes, politicians will jump on their soap boxes and try to make Facebook pay for its mistakes. Consequently, the stock may further suffer in the short-term. That’s why using options instead of buying the equity itself is the safer way to go. Fundamentally, Facebook stock is not bloated. It is priced within reason as a mega cap tech growth stocks should be. Of late, management has been making public efforts to assure governments that they are trying to do the right things. But that to Wall Street raises some concerns, because doing the right thing often can come at the expense of profitability albeit temporary. Click to Enlarge Technically and since last July, Facebook stock has used $175 per share level as pivot. In November the bulls finally prevailed and broke above it. They have since used it as support give or take a few bucks. But there is the worry that testing a neckline for support will eventually fail and the bears could retest $165 per share. Most of Wall Street experts are in a holding pattern on the stock. I don’t think that there will be a deluge of downgrades to sell. However, should that happen there will be another leg lower from such headlines. Regardless, in the long term I bet that these would be entry opportunities. Because when all said and done, Facebook will grow into its valuation. Time will heal the wounds of these cutting headlines. The Trade: Sell the FB SEP $140 naked put and collect $3.50 to open. Here I have a 85% theoretical chance that I would retain maximum gains, but if the price falls below my strike then I accrue losses below $141.50. Selling naked puts carries big risk especially for a headline stock like Facebook. For those who want to mitigate it, they can sell a spread instead. The Alternate Trade: Sell the FB SEP $140/$135 bull put spread where I have the same odds of winning. Then the spread would yield 15% on risk. Subscribe to my YouTube channel for free content here. Get newsletter here. Nicolas Chahine is the managing director of SellSpreads.com. As of this writing, he did not hold a position in any of the aforementioned securities. You can follow him as @racernic on twitter and stocktwits. 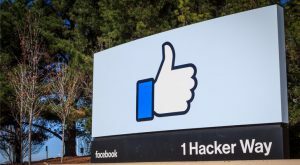 Article printed from InvestorPlace Media, https://investorplace.com/2018/03/facebook-inc-fb-stock-crisis-mode/.